Perch have big eyes and big mouths. These two simple facts suggest that old stripey is a predator largely using its excellent eyesight to find prey. Of course, once they attain a decent size, these fish feed mainly on smaller species or on the young of other fish. The question is do we have any information about when, where or on what they are likely to be making their meals? So, why do big perch seem to feed in low light conditions? Do they have better eyesight than other fish? It is very clear that adult perch, being predominantly sight feeders, have eyes which are adapted to work well at low light intensities, but they are certainly not alone in this, and there are many other reasons to explain why they feed best in poor light conditions. During full daylight in clear water perch seek out shaded places which provide both cover and reduced light intensities. Such areas can include reed beds, undercut banks and trees, but there is no doubt that it is the combination of shade and structure that is favoured because the fish are known to move from place to place as the angle of the sun changes. From their shady hideaways the perch have a clear view of their surroundings. There’s no doubt that being in the shade looking out into well illuminated water is much easier than the reverse scenario. It is no surprise that small silver fish generally steer clear of such areas, as the ones which go too close for a peer into the gloom often get picked off. At dawn and dusk however perch leave these sanctuaries to feed. Unlike pike, which are predominantly solitary ambush predators, perch feed in small packs chasing and harrying little fish and snapping at their tails. A typical attack would see a group of perch slowly approach a shoal of silver fish, before rushing in causing confusion and rapid evasive action by the members of the baitfish shoal. Any small fish which become separated from the safety of the group are chased and attacked by the predators and usually end up as a meal for one of the perch. Over time and after a series of coordinated attacks each perch in the shoal is likely to get its share. Although such attacks can work well during full daylight they are much more effective at low light levels as the hungry perch can get much closer to the shoal of prey fish before launching the main assault, and it is harder for the small fish to regain contact with the main shoal once they become separated. It is now well known that during autumn and winter fish such as roach “shoal up”, that is to say they congregate in larger groups than during the summer. In some circumstances, particularly where natural food is patchily distributed, small roach often gather around structures such as bridges and fallen trees. 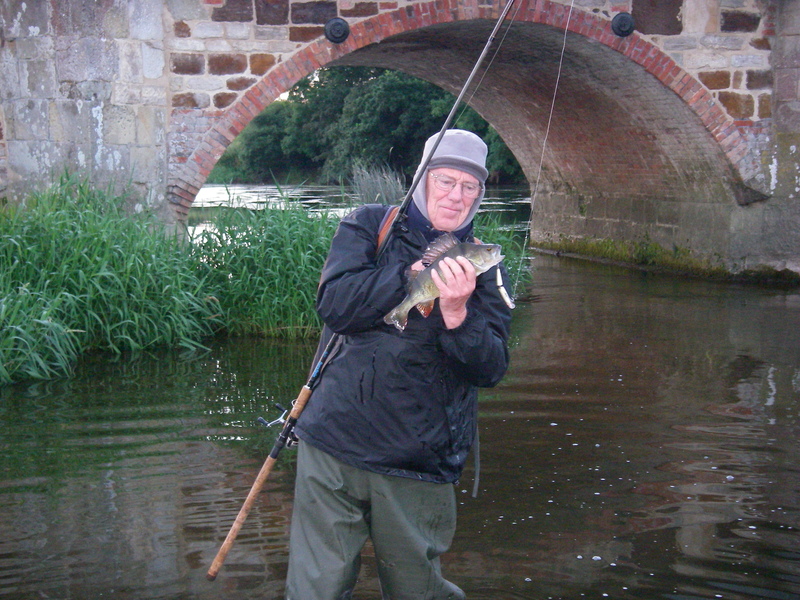 The structure provides overhead cover and a bolt hole from predators, but where there are lots of of small roach, predators such as pike and perch are never far away. Scientists can help us make our decisions about where to seek perch. In one study they implanted tiny radio transmitters into decent sized perch (27-37 cm) in a shallow lake in Denmark. Between 6 and 13 tagged perch were tracked every 3 hours for twenty-four hour periods twice (summer) or once (winter) a month from August 1997 to July 1998. Activity levels were recorded as the least distance moved in each hour. All of the perch tended to behave in the same way at any particular time, in other words there were no real differences in the behaviour of individual fish. Most activity was usually seen in the daylight hours with peaks at dawn and dusk or at midday. This twenty-four hour pattern was particularly obvious from October to April, whereas daily variations were much less clear in the summer months, and there were no noticeable peaks in mid-summer. The general lack of activity at night supports the idea that the perch hunts mainly by means of its excellent eyesight when it can see its potential prey. During the day-time movement and feeding activity of the perch was no greater when it was warmer or when the days were longer but night-time, after dark, activity was greatest when temperatures were highest. 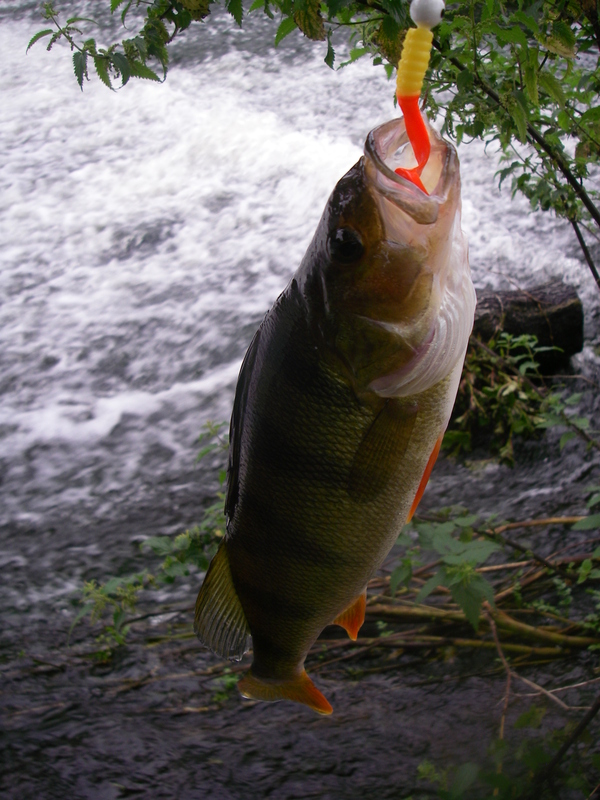 In contrast with previous scientific studies on perch, activity levels were more or less the same throughout the year except for the extra-high activity levels that occurred along with high temperatures in August. However, the total distances moved by perch each day decreased in cold weather because although the fish moved at roughly the same average speed in the wintertime they did so for shorter periods than in summer because of shorter day lengths. While perch tend to use their large and sensitive eyes to locate food the related ruffe, which resemble perch in some ways, hunt more in the hours of darkness using the vibrations and smell of their prey as a means of catching them. German scientists compared the feeding of the two species in daylight and darkness. They found that in the daytime perch simply fed as though the ruffe were absent but at night their activities were seriously affected by the presence of their smaller cousins. The ruffe fed much more effectively in darkness and were much better competitors at night. The activity and movements of perch in a lake of North Eastern Spain have also been examined by means of acoustic tags. The tags were implanted in seven half-pound fish and monitored every three minutes. GIS was used to locate the fish and swimming speeds were calculated. In this case the fish were much more active in the daytime than at night and again they showed two peaks of activity at sunrise and sunset. Perch often hung around close to the lake shore and when they moved about they usually followed the same regular routes. Perch generally do best where there is abundant growth of water plants. A study in the USA showed that they tend to feed on aquatic insects and the like but they switch to feeding on plankton when they have to compete with ‘pumpkinseed’ a small perch-like American fish. Perch that were feeding on waterfleas in the plankton of a lake showed a strong peak in feeding activity for 1-1.5 hours after sunset. Previous Previous post: WHAT IS THE BEST WAY TO CAST LURES?